EXCLUSIVE: Australia will compete in the Eurovision Song Contest for the 5th time, in Tel Aviv in May 2019. But SBS will soon announce plans to shake up the artist selection process with partners Blink TV. Is Australia about to embrace public voting, similar to the UK’s Eurovision: You Decide showcase? 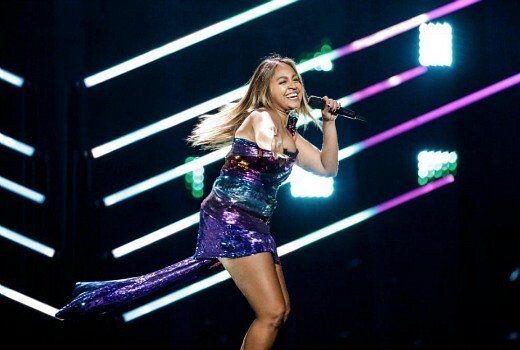 All 4 previous entrants, Guy Sebastian, Dami Im, Isaiah Firebrace and Jessica Mauboy, have been talent show graduates, and all 4 through Sony Music. But Ebeid also acknowledges plans for an Asia Pacific Eurovision, originally due to be staged in 2017, have proved challenging. We need a professional singer, not someone from the old X Factor. Dami was really good though! She so should of come first! While I don’t watch Eurovision, I do follow comments and articles about our local participants and thought Dami and Jess were fantastic after watching their performances online after the fact. If it goes to public vote, I almost dread to think what will happen – I have a feeling people will just vote to take the p**s and (no offence here Nikki), someone like Nikki Webster will get the public vote following a mock campaign put together by the “cool kids” at Triple J or something. Either that or “Farnsey or Barnsey” or will get the vote. I agree that it requires an experienced performer, but it would be great if they held a songwriting contest. People could submit some lyrics and/or music which could then be finished by professionals.